I have a confession... I'm SUCH a lazy cow when it comes to moisturising my body. I'm all for facial skincare and stick to a strict routine, but I won't bust out the body butters unless I'm feeling particularly motivated or having a bit of a pampering session. It's just a chore having to prance around in your birthday suit waiting for it to soak in, and getting dressed with semi-sticky moisturiser skin is something I can live without. In all honesty I spend too long messing around with my hair and makeup after a shower as it is, and so don't have much inclination to add another time consuming step into my daily routine. I can't be the only one that sees this as a problem (although if you do moisturise your body daily I commend your enthusiasm!) as recently brands have been coming up with formats that make this tedious step quicker and easier. 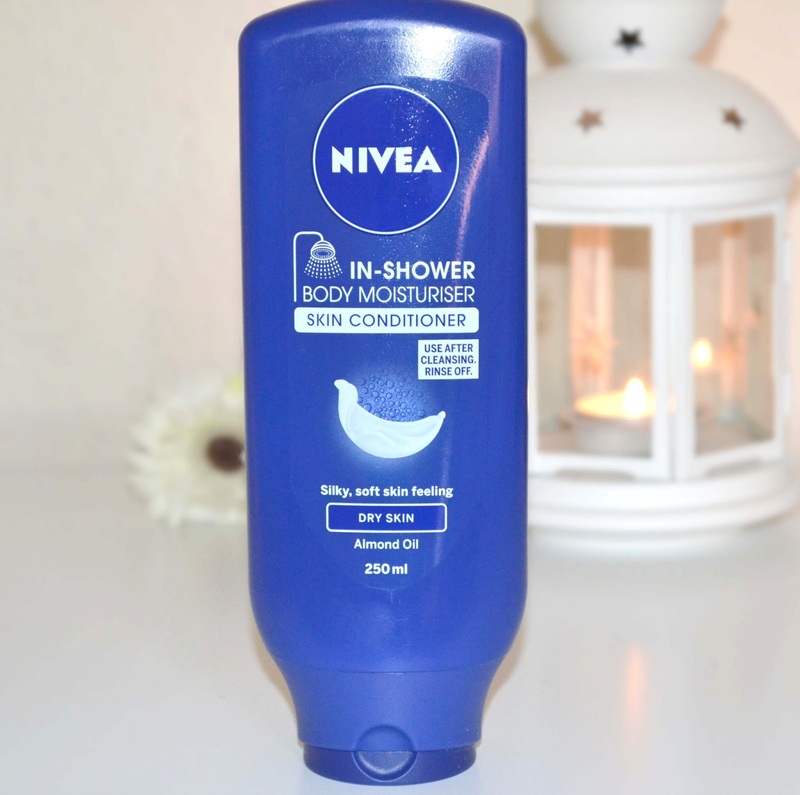 One that I've been giving a test run recently is Nivea's 'In Shower' body moisturiser. This product looks a lot like Nivea's typical shower gels, I'd have liked to have seen slightly more interesting packaging but it's robust and does the job. My initial thoughts were that this was a shower gel and moisturiser in one, but you actually apply it after your regular bath or shower product. It's incredibly creamy and seems to really absorb well into wet skin, it doesn't foam up like shower gel does; the best term I can think to describe this product would be a 'body conditioner' it's smooth and similar in texture to a hair conditioner. While a two-in-one wash and moisturiser in one would be quicker still, this literally takes a matter of seconds to apply and rinse. It's a million times quicker and easier than waiting for a traditional moisturiser to soak in, and there's no stickiness whatsoever! This is the 'dry skin' version, I'm not sure how well this would work on very dry or flaky skin but it worked like a charm on me especially for everyday use. Overall I'm impressed with this, it works well and left my skin feeling noticeably soft and moisturised once I was dried off. While I'll still apply a moisturising body butter or cream when I feel like pampering myself, this will be a firm staple in my bathroom and I'll have no hesitations about running out to replace it once it runs out. If like me you're lazy when it comes to moisturising your body, or just need a daily moisturiser that's quick and effective this is the product for you. It's just a simple, hassle free way to make sure your skin is getting the moisture it needs. 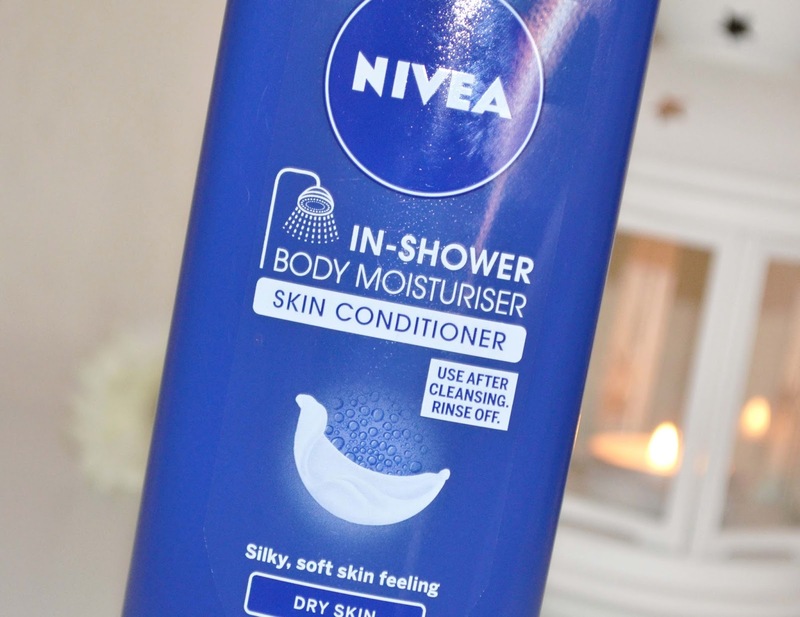 Have you ever tried Nivea's In Shower Body Moisturiser? I literally LMAO at your first sentence! "I'm such a lazy cow when it comes to moisturizing my body" ... I second that! I literally just cannot be bothered to moisturize, especially after all the shower, shave, exfoliate blah blah blah! Great review! I tried this in shower moisturiser too, but didn't notice enough of a difference to keep buying unfortunately. My elbows used to be SO dry before I started using this, but I use it literally every single day and I focus on my arms and elbows... they've never felt so soft! I haven't tried this yet, but I can tell you that I definitely will! I really, really dislike moisturizing my body because it always feels like such a drag. 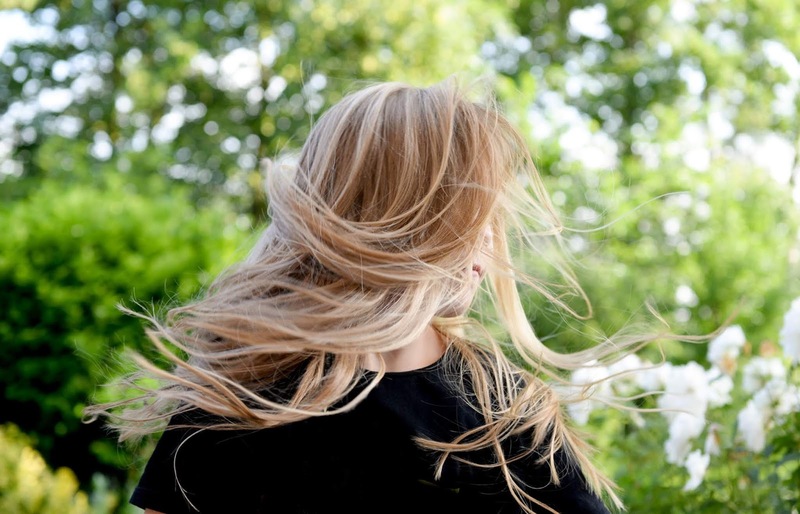 Oh, I love the fragrance and the softness that my skin benefits from being moisturized, but after I step out of the shower, all I'd want to do is get dressed as quickly as possible. So, while I do moisturize my body, it's something that I have to force myself to do. I love the sound of this, im a 'lazy cow' too haha when it comes to applying body butter or moisturizer so this sounds fab. I wasn't overly keen on this because I have really dry skin. I loved the smell though. I let out an internal sigh every time I get out of the shower and have to faff about applying cream, but I tend to force myself pretty much every time and get rewarded with soft skin rather than the usual dragon scales. I tried this and found that it's not enough to keep my dry skin moisturised, but I can imagine it being brilliant when it gets hot outside - no one wants to apply sticky cream when it's so warm you start sweating again the minute you step out of the shower! I absolutely love this, makes my skin super duper soft! This sounds amazing. Just what I need! Ooh I tried a sample of this - it is perfect to take on holiday!! reading that made me smile a bit because I'm the same, I hate waiting for them to dry as I feel quite sticky!! This sounds good. I use to use the Nivea extra nourishing lotion and I loved it, I can't find it anywhere now so I will have to keep an eye out for this. I firmly believe that Nivea doesn't sell these great products in the US on purpose, just to drive beauty bloggers nuts. LOL. This looks interesting and most definitely something I'd like to try. I am one of those folks who makes it a point to moisturize my body just as I moisturize my face. I have very dry skin and if I skip even a day of moisturizing, my body starts to feel (and look) mummified. ;) I do believe Dove has, or had, a similar product although I don't remember having tried it. Wow, that's what I was searching for, what a stuff! Now I'm easily moisturizing my skin by using Sakare's rejuvenating shower scrub. I'd recommend to all my friend.